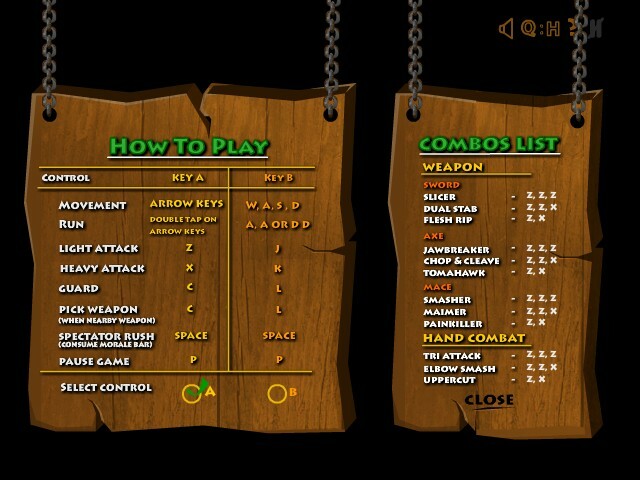 Hack And Slash Madness Action Upgrade Achievement Survival Free Online Games Fog Click to find more games like this. Fight to survive! 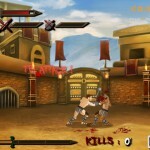 You've been thrown into the colosseum and now you'll need to battle your opponents! 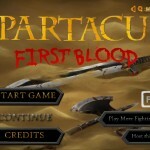 Take them out, steal their weapons and become the spectators' new favorite! 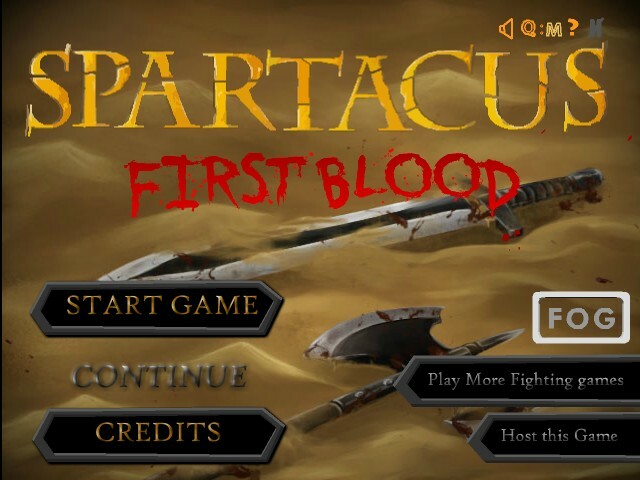 Play as the legendary Spartacus and battle your way through eight levels in this bloody fighting game. 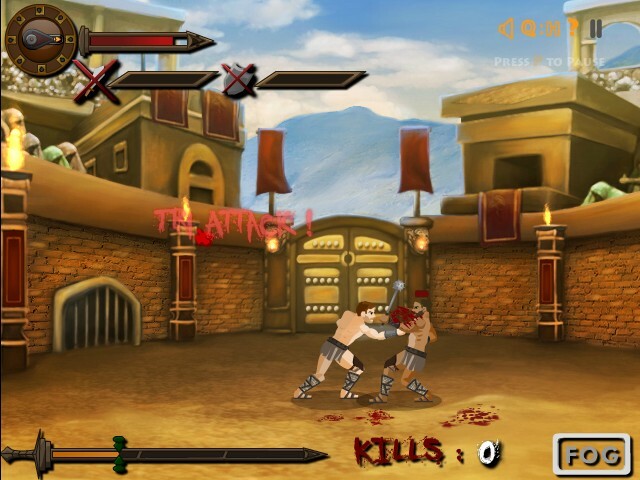 Clear the arena of opposing gladiators by killing them with me lee weapons or your bare fists. Upon victory, you will earn money and be granted access to the next level. 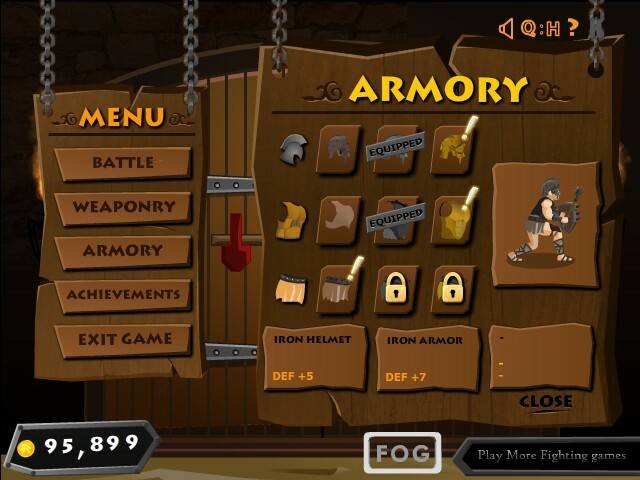 Spend your money on weapons and armor to increase your strength and defense. 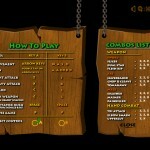 If a level is too difficult, you can replay completed levels to earn more money.